Reducing chargebacks on physical goods and services can be a tricky business – especially for online merchants. But reducing chargebacks on digital goods, with no physical product show, no delivery confirmation, and no way to match the customer to the credit card can sometimes seem like an impossible task. But keeping your chargebacks down and your profits up doesn’t have to require Herculean effort. There are several time-tested solutions to the problem of “invisible goods” that can leave both you and your customer satisfied while reducing fraudulent requests and the chargebacks that stack up on your account. One solution to the problem of a digital product is a corresponding physical product. Even if your product has no physical parts, you can create one by bundling a physical copy with the digital purchase or by shipping add-ons or instructions separately using the least expensive method that allows for delivery confirmation. This not only makes it more difficult for customers to claim they never received their product, but it also allows you to more easily use address verification and other fraud-busting techniques. An address verification system (AVS) instantly compares the billing address the customer enters with the address on file with the credit card. If it is isn’t a match or is only a partial match, the purchase may be fraud you may want to decline the sale. Address comparison is only one way to detect fraud. Identifying the IP address (and thereby the geolocation) of the ordering computer is another way to identify potential fraudsters, as is identifying customers who have made multiple purchases on multiple different cards or an abnormally large purchase split among numerous credit cards. Fraud detection may take the form of software, which can perform the analysis instantly, human-checking, or a combination of the two. One of the most fundamental techniques, but also one that is frequently overlooked is requiring the CVV/CVC for all credit cards, which is the information the fraudster is least likely to have without the physical card present. This three- to four-digit number appears on the back of Visa, Discover, and MasterCards, and on the front of an American Express card, and should never be stored on any platform, which reduces identity theft through hacking. Although using these techniques to their fullest may require a slight increase in your expenses, the cumulative savings of the chargebacks and chargeback fees that were prevented can more than pay for these adjustments. And just as importantly, your merchant account, which is the lifeblood of your business, can be protected from excessive chargebacks, penalties, and even termination. 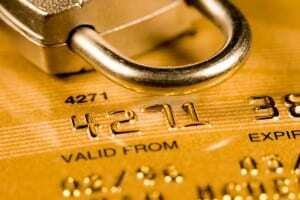 For more information about how to manage chargebacks or to open a merchant account, we invite you to give us a call.